We are inviting you to partake in a journey through time covering half a billion years to the present in the Estonian seabed, showcasing the plants and animals that have lived here. Did you know that the Baltic primeval sea was situated in the southern hemisphere 600 million years ago? Or that the Estonian area has been covered in a tropical sea where corals and crinoids lived, for example? Would you like to see a 3-meter nautiloid and a 2,5-meter sea scorpion? 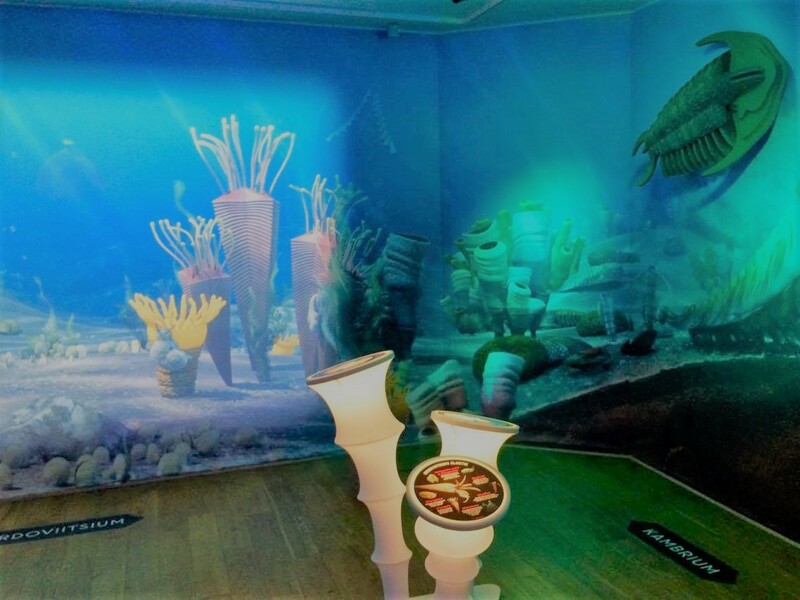 A 360-degree Virtual Reality Movie invites you to experience travelling hundreds of millions of years back in time and tells you about ancient sea creatures! Travel to the time when giant reptiles ruled the world. Experience the latest ice age, which caused the Baltic Sea, geologically the youngest sea in the world, to come into being.